Carol A. McAllister joined the Firm in 1989 and was admitted as a partner in 2005. She is licensed to practice as a Certified Public Accountant in New Jersey and Pennsylvania, a Registered Municipal Accountant and a Public School Accountant in New Jersey. She has also been certified by the New Jersey Department of Community Affairs, Division of Local Government Services as a Certified Municipal Finance Officer. She earned her Bachelor of Science degree in Business Administration from Widener University. Her area of expertise is in the audits of governmental entities, and federal and state grant programs. Carol currently serves a wide range of clients which include the audits of county, municipal, authority, school district, county college, and library commissions. 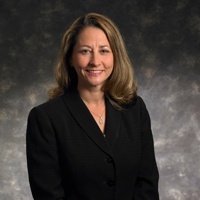 She has performed audits for NJ State Agencies, as well as program specific audits of the New Jersey Environmental Infrastructure Trust program funding for private water companies. She has extensive Single Audit experience, including the audits of Student Financial Assistance Grants, Workforce Investment Act Grants, Environmental Infrastructure Grants, and Transportation Grants. Carol currently serves as the Chair of the Bonding Department subcommittee of the Governmental Services Department of the Firm. In this capacity she is responsible for performing and overseeing the special services provided for clients, including the preparation, printing and posting of official statements, and preparation of verification reports, arbitrage calculations and connection fee analysis.